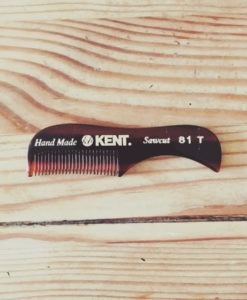 View cart “Kent Moustache Comb | A 81T Extra Small Moustache Comb” has been added to your cart. If you even consider running one of those cheap, black plastic combs through your beard.. I'm serious. They are mass produced by molding or stamp pressing and the teeth have microscopic jagged edges. Each stroke is tearing your beard hairs to shreds. The best combs are hand-cut and have each individual tooth hand polished. This ensures that no damage is done while combing. It also allows the comb to glide like a majestic bird though your hard earned beard. 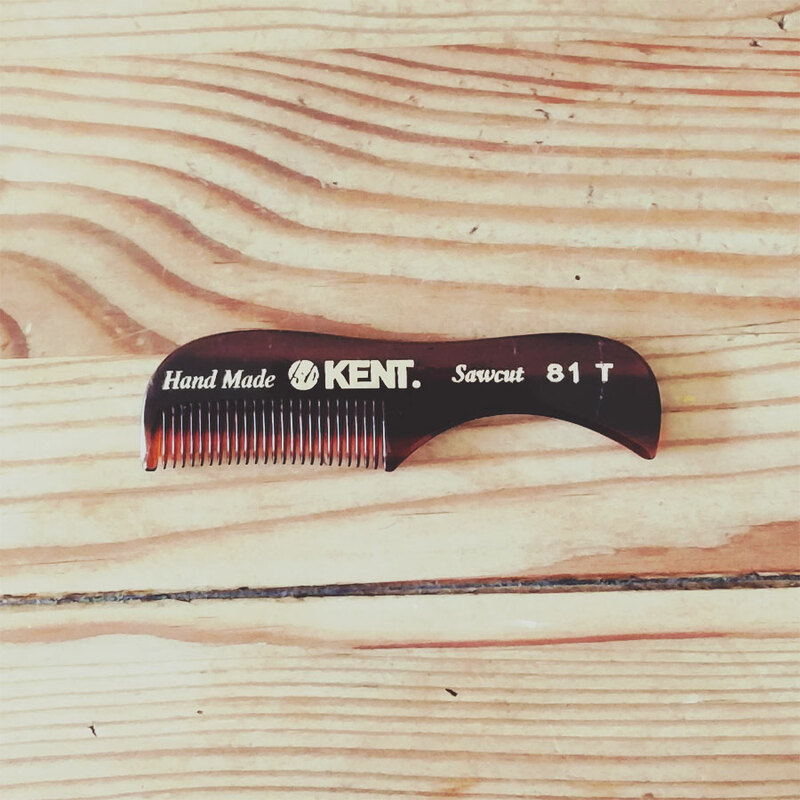 Luckily for you, Kent (who have been on the go since 1777) make combs that are perfect for beards. And they are the only type we recommend. Handmade, medium toothed, folding beard comb. Perfect for styling and keeping your beard looking great. 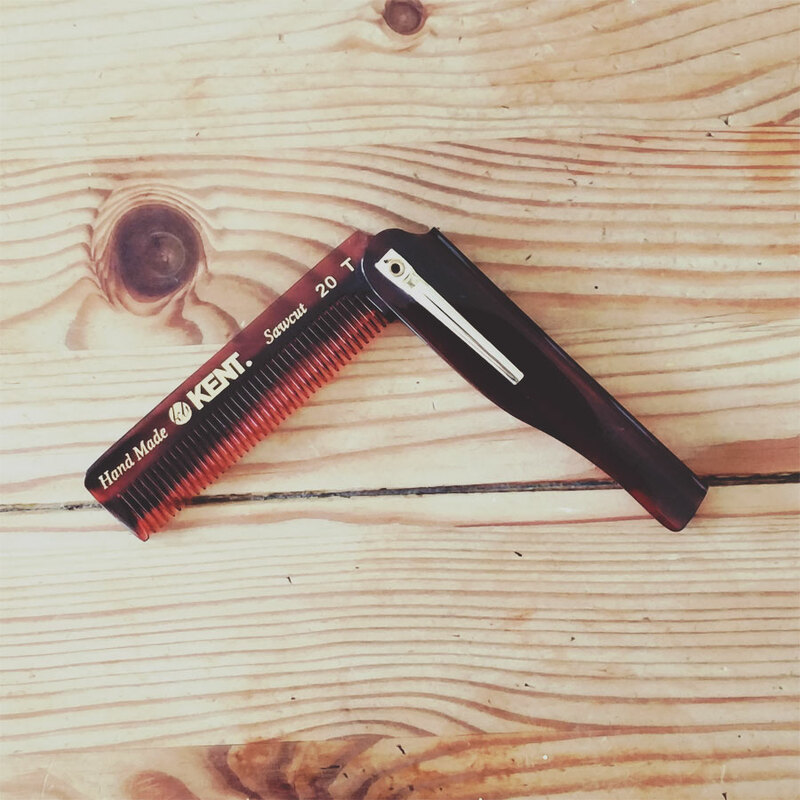 Extra-small, hand-sawn moustache comb. Perfect for grooming a moustache and handy to keep in your wallet.